Multibond SMX35 is a high quality, single component, permanently flexible joint sealant. Perfect for internal & external applications. Based on SMXÂ® Polymer Multibond SMX35 has a â€œShore Aâ€ hardness of 35 and can accommodate movement of Â± 20 %. Multibond SMX35 has excellent UV resistance, elasticity and can be sanded and painted with most types of paint. Once cured forms a strong, flexible, waterproof seal and bonds to the widest range of substrates. 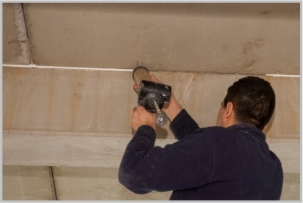 Multibond SMX35 can be used for damp and wet surfaces. Multibond SMX35 â€“ Seal & Stretch is ideal for a wide range of sealing applications in construction and industrial includingâ€¦..
For window and door frames.